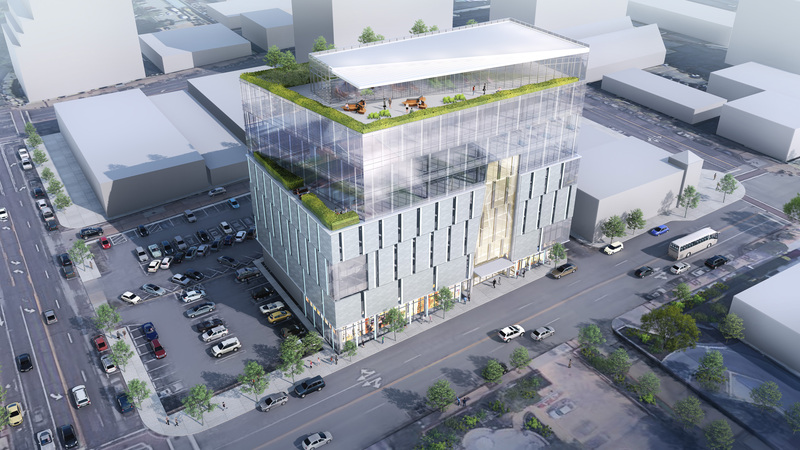 St. Louis-based development firm KP Development announced today that it will develop a prominent site in downtown Clayton that it has owned for nearly 20 years. 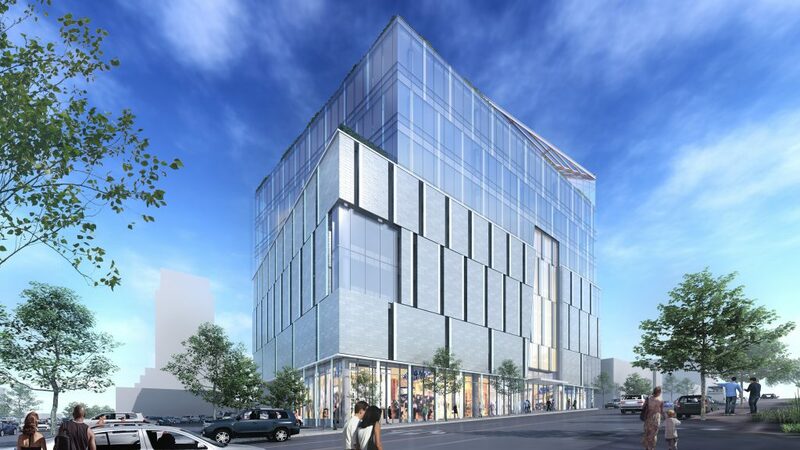 Planned is a nine-story, 60,000 sf, mixed-used modern building. 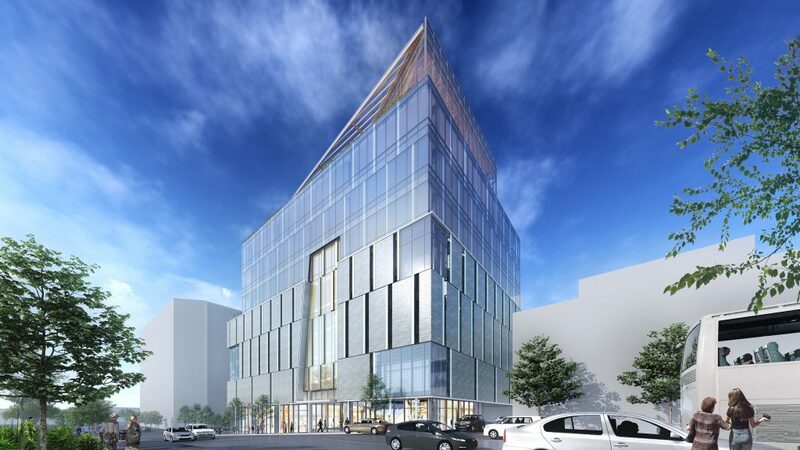 The proposal is immediately adjacent to the planned $70M,24-story mixed-use project by Flaherty & Collins Properties announced earlier this month. 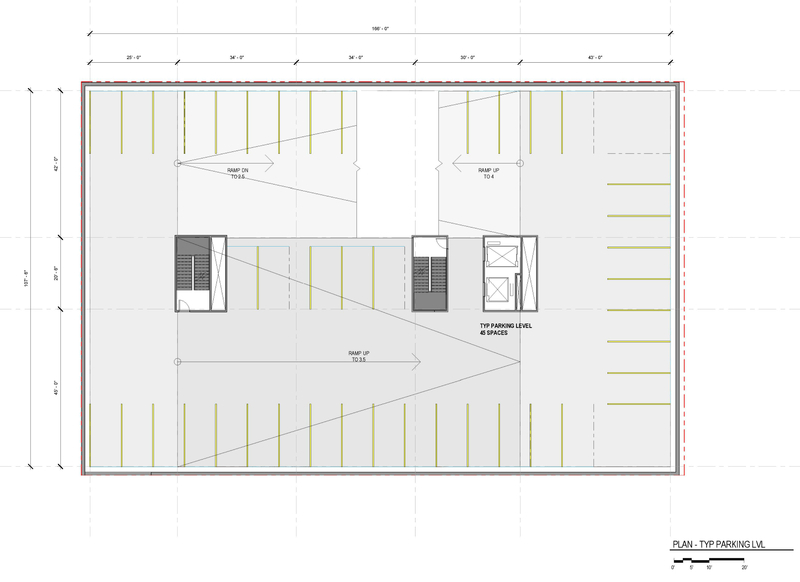 The new development, on the 8000 block of Forsyth Boulevard will include 51,000 sf of Class A office space, 7,500 sf of ground floor retail, and 160 tenant parking spaces. KP Development has owned the site for nearly 20 years. The project would replace three two-story buildings currently occupied by KP Development and ElmTree Funds. 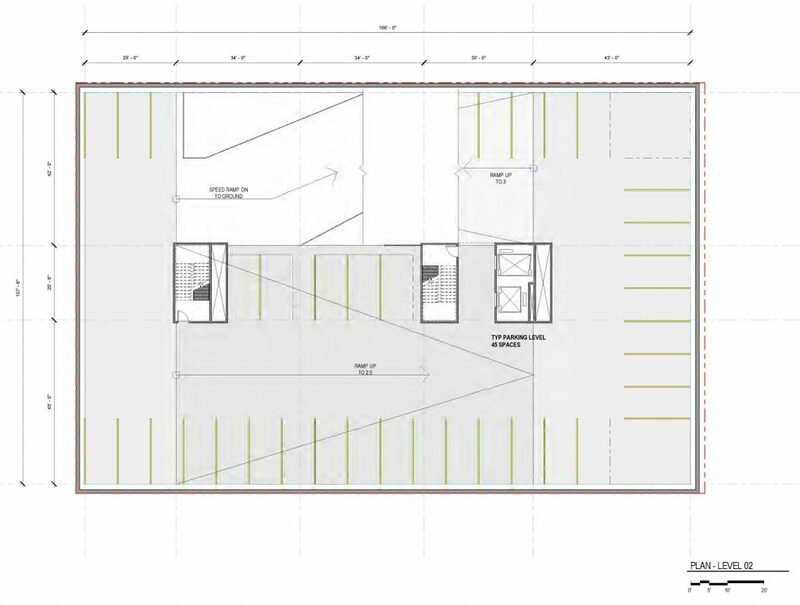 Both would take space in the new building. 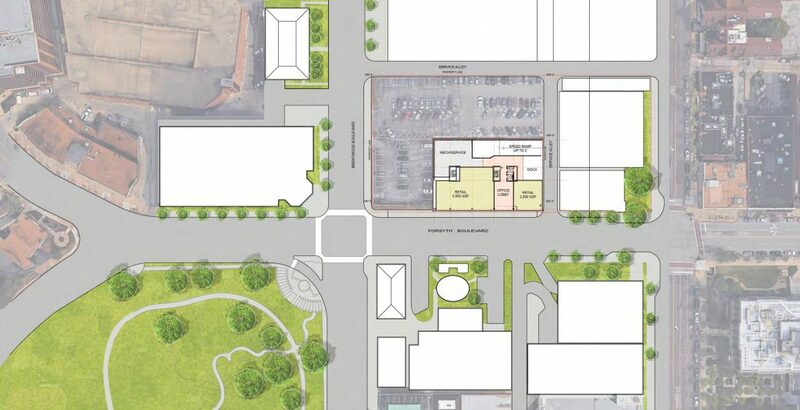 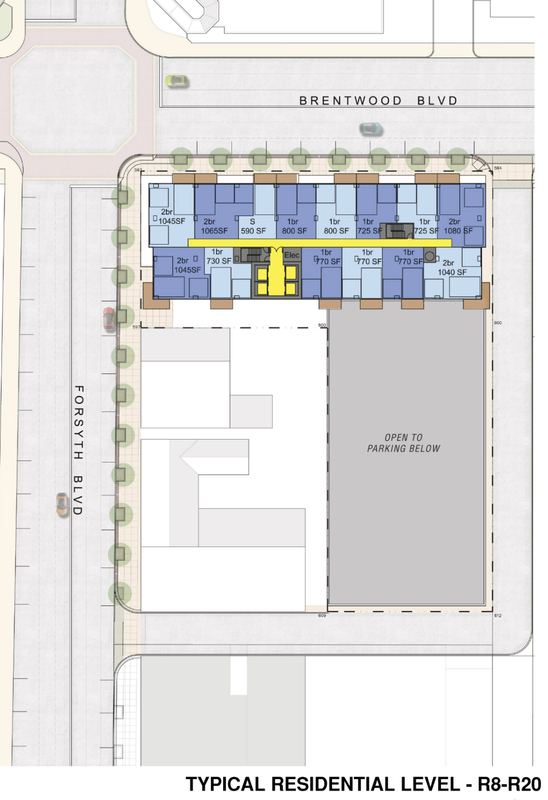 While KP Development had hoped to develop the large adjacent city-owned lot, this proposed project is meant to complement plans by Flaherty & Collins. 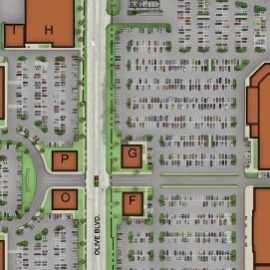 Forum Studio is the architect for Forsyth Pointe. 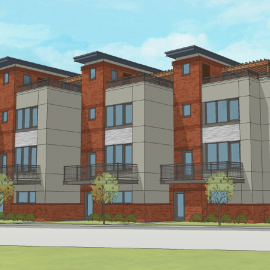 Pending approval from the City of Clayton, KP Development hopes to commence construction this fall. 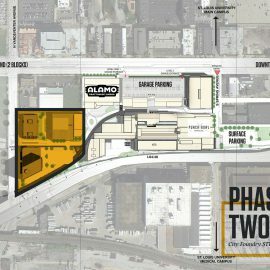 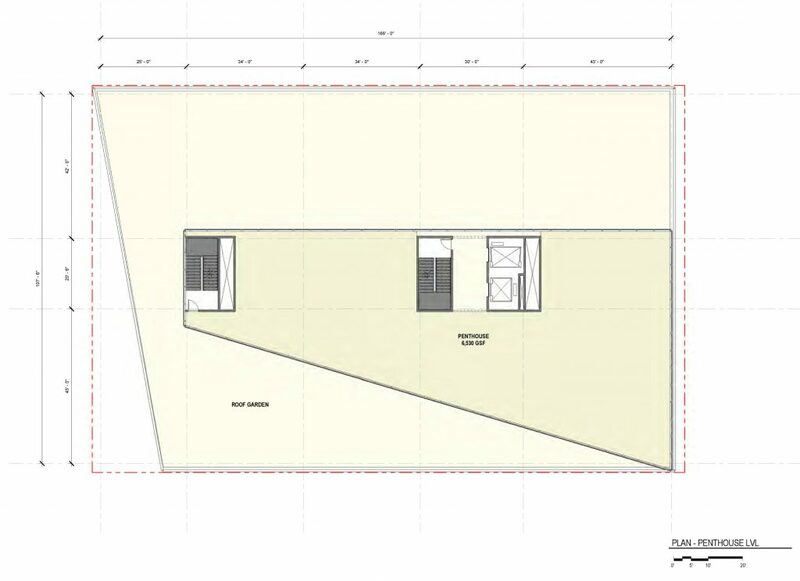 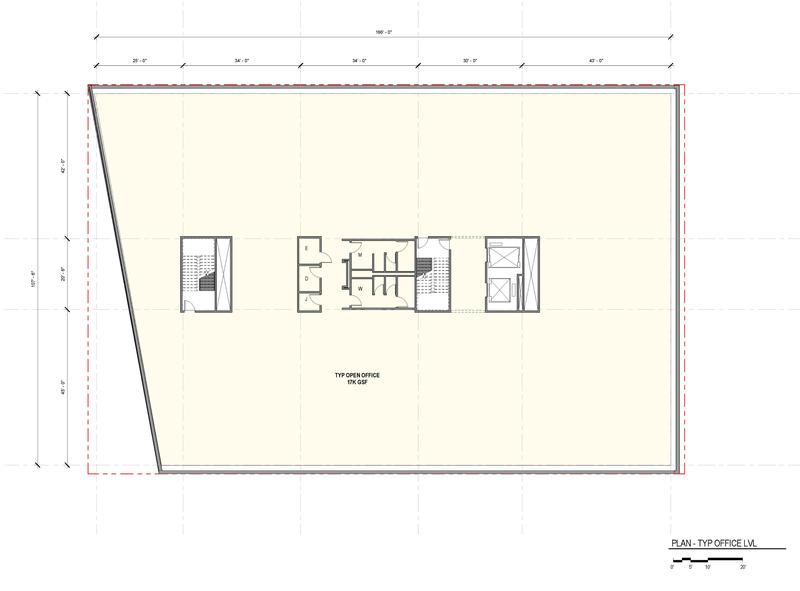 A look at the site plan for the adjacent tower shows how the two projects will fit together. 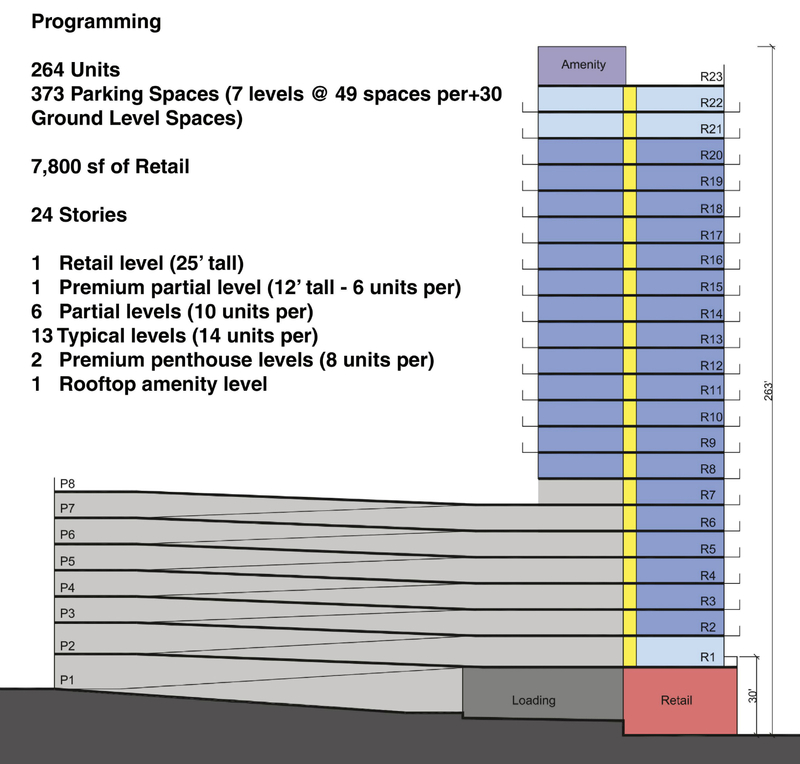 The 24-story tower features an eight-level parking garage extending to the east. This will now be fully screened by Forsyth Pointe. 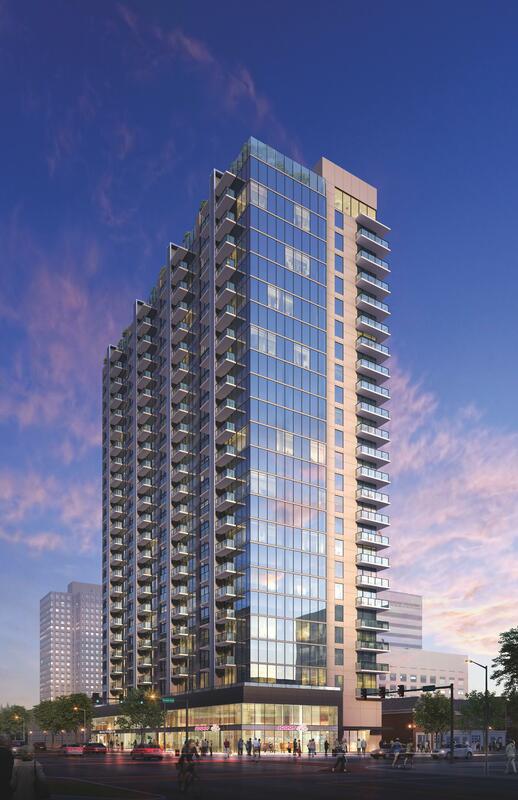 Only a few apartments in the tower will closely face the newly proposed building. 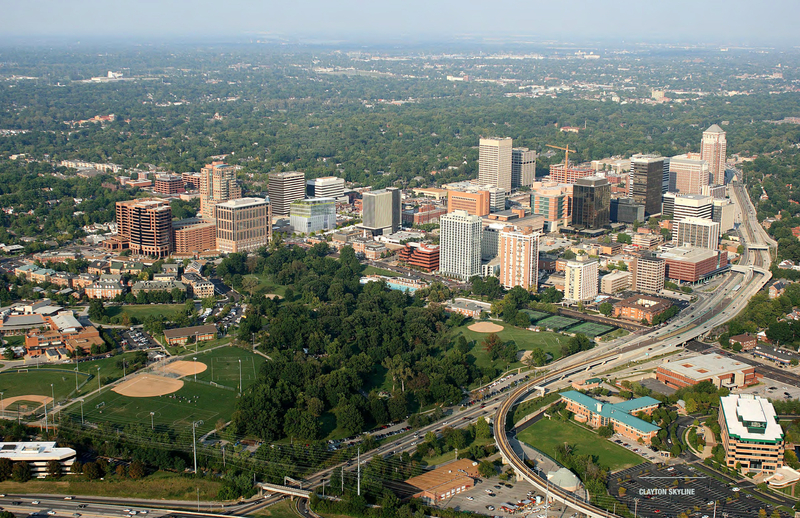 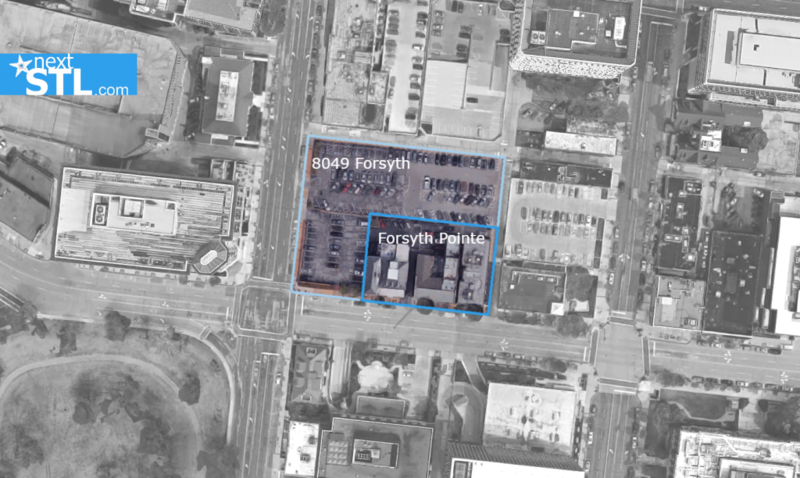 KP Development has been a long-time supporter of the City of Clayton’s Comprehensive Plan, which includes a focus on a unifying and coordinated development for this stretch of Forsyth, and the new development has been conceived with that in mind. 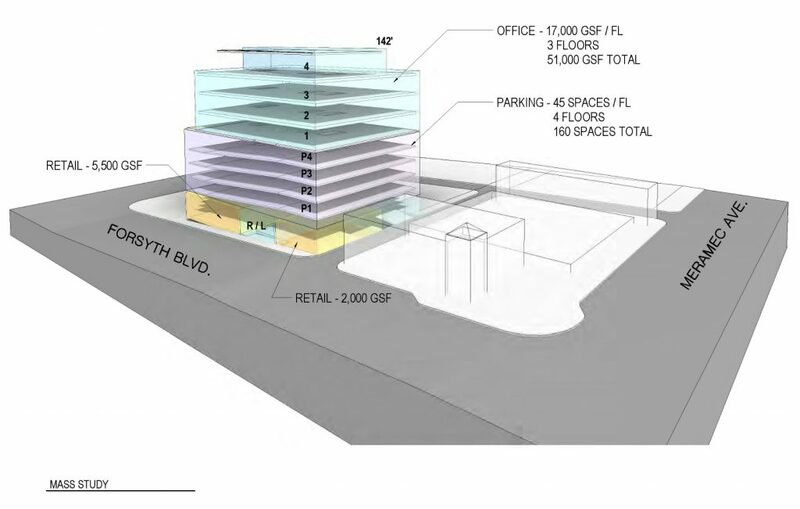 The company’s proposed development would take shape adjacent to a planned new multi-family tower that is proposed to be developed on the City of Clayton’s public parking lot at the north east intersection of Forsyth and Brentwood. 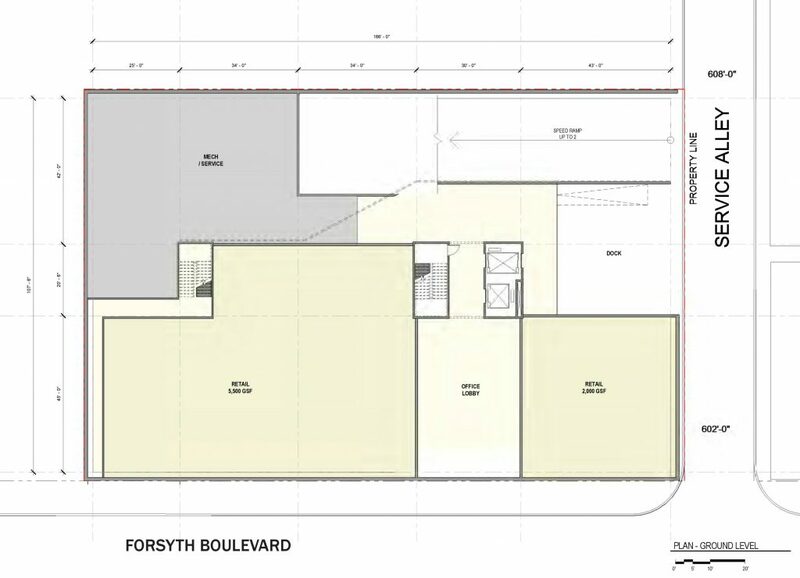 While Forsyth Pointe is a completely separate project, Haley notes it is intended to complement the proposed luxury apartment building and that it specifically aligns with the goals of the “Park View District” as described in the City’s comprehensive plan. 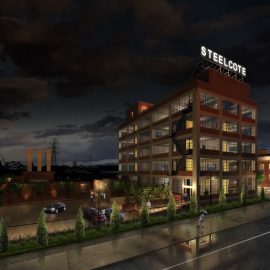 KP Development is a St. Louis-based real estate development firm providing full-service development services for office, industrial, and specialty projects, with a focus on meeting the needs of its clients. 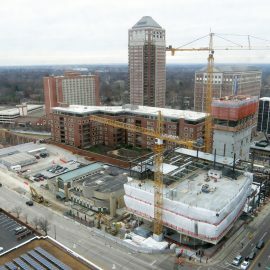 To learn more about KP Development, call Scott Haley (314) 261-7352 or visit www.kpdevelopment.com.